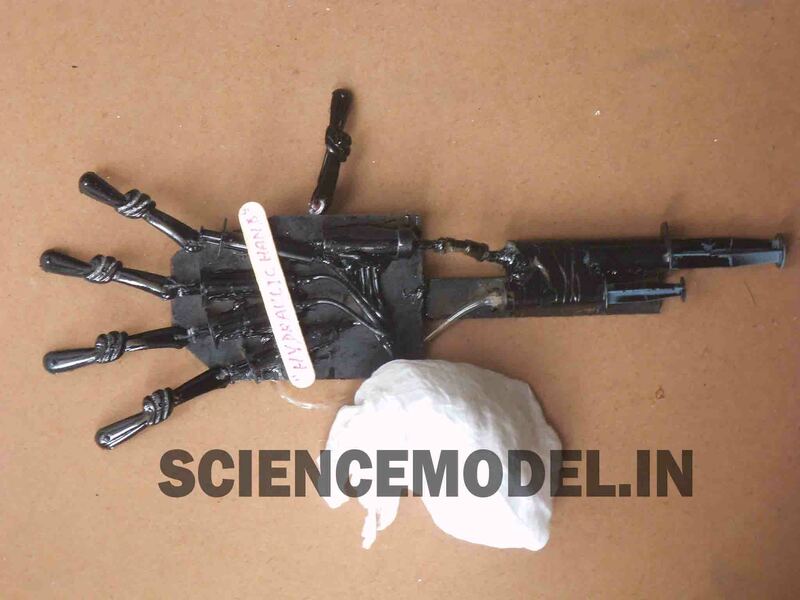 A Robotic Hand which is hydraulically operated and controlled by syringes filled with some fluid. It consists of various parts connected to each other in a pre-designed manner which are guided in a constrained way to obtain required output. The basic concept used behind the operation is PASCAL’s LAW. This law states that when a pressure is applied at one point of a fluid contained in a constrained volume, then the pressure due to that force is equally transmitted to all the points of the fluid, which are acted upon by the same pressure. This entry was posted in Robotics Project, Science Fair & Exhibition. The railway gate is to be controlled so that the road traffic is to be predicted .The railway gate is to be closed when a train is passing by the way. The opening and closing of the gate is to be done using view motors and this view motor is controlled by sensor. 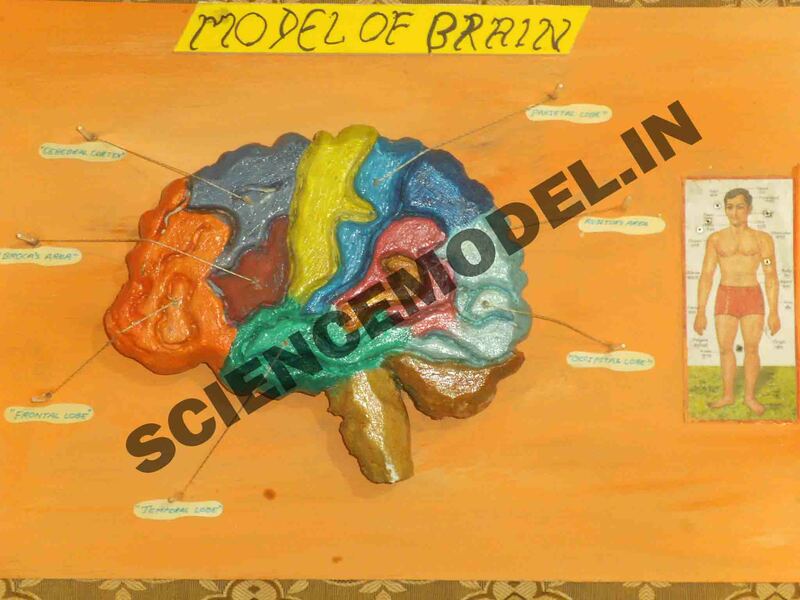 This entry was posted in Science Fair & Exhibition. 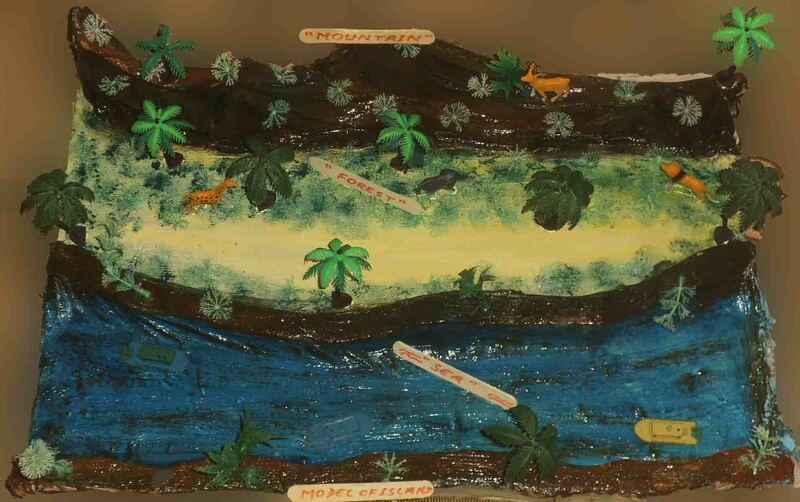 This is model of island using POP(Plaster of Paris). 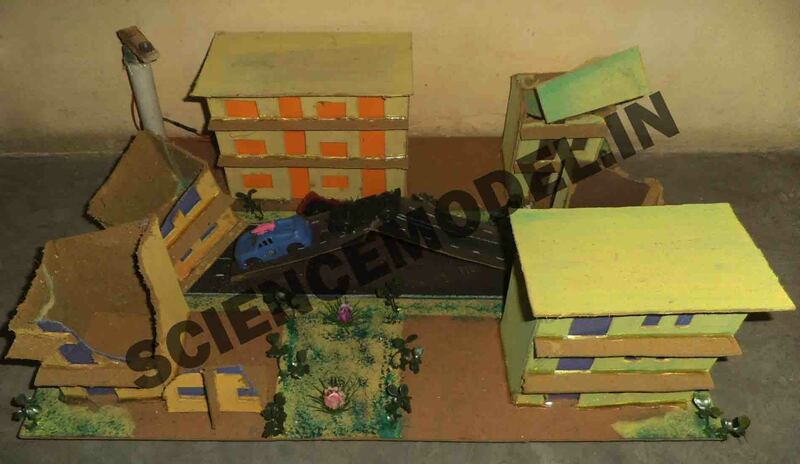 This entry was posted in Geography, Science Fair & Exhibition. 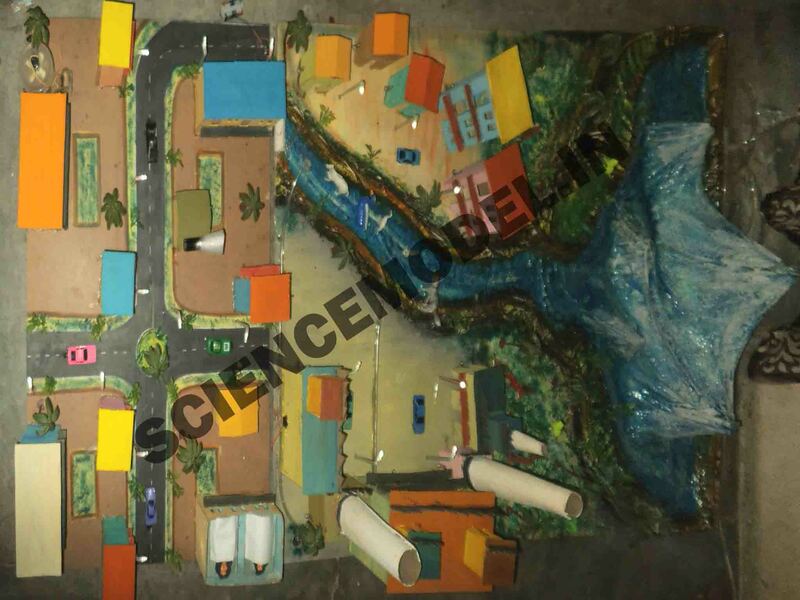 This is working model of pollution for exhibition which in included all type of pollution sources. 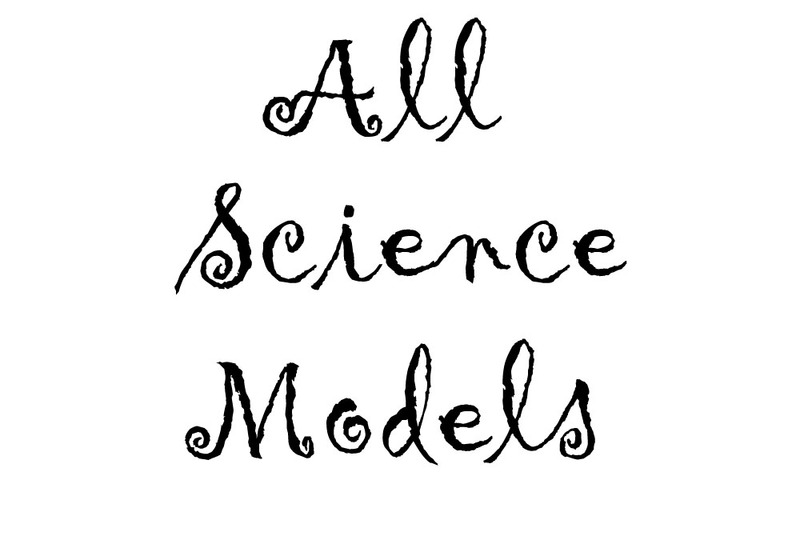 For example River Pollution, Air Pollution, Noise Pollution etc. Project size 6 feet long and 3 feet width. 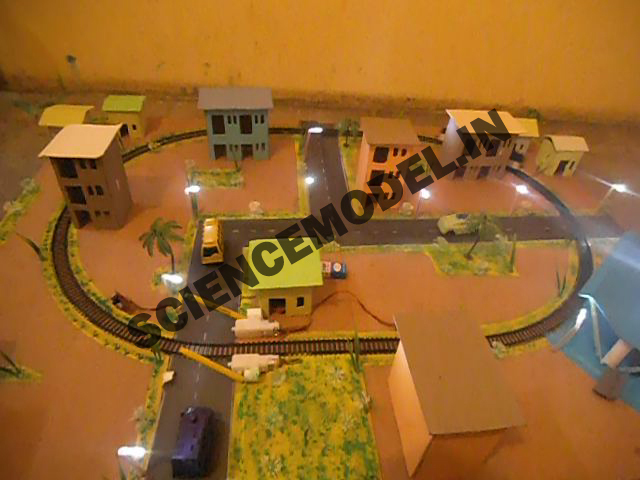 This is working model of earthquake. An earthquake (also known as a quake, tremor or temblor) is the result of a sudden release of energy in the Earth’s crust that creates seismic waves. 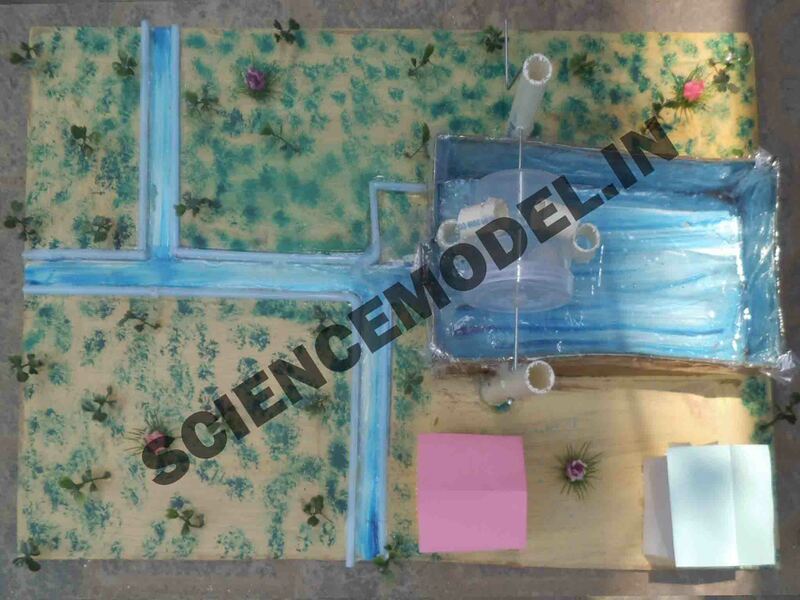 This is the working model of water mill for Science Fair Exhibition.